1:12 scale smoking set. All metal accessories. 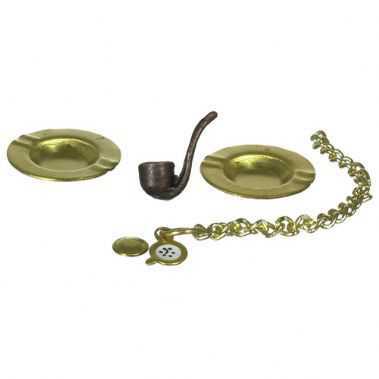 What a charming little set of accessories for the man of the (doll)house. Incredibly detailed and unbeatable price.